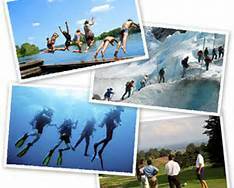 Group travel, whether for work or play can be fun, exciting and a real bonding experience. It can create great memories and shared experiences that can be very special. Planning a group trip is a complicated and time consuming process. More important, there are many pitfalls the inexperienced might run into that can be costly, frustrating and put a damper on the whole trip. The larger the group, the more complicated it becomes. If you are planning a meeting or event, the success or failure of it invariable reflects back on you. Why go through all the hassle and aggravation? Why be the object of other people's wrath if things don't go exactly right? The Group Travel Coordinator has extensive experience, industry contacts not available to the general public, and negotiating power that comes with volume in placing many business, professional associations, social and civic groups as well as friends and families at various resorts, cruise ships and meeting destinations. We work hard to make sure your group gets the best deal possible representing high quality, good value and your event goes as smoothly as possible. Our job is to make you look good! Sit back, relax and let us do the the heavy lifting so all you have to do is go and enjoy yourself. If you're thinking about a family reunion, friends or family group, a reunion or a social or civic group actity, let us help you create a successful, fun event. Click below to get started. Want to organize a group of your own? Traveling in groups has some great advantages. Watch the video to see a few of them. Kids fare especially well on cruises with onboard children’s programming, dedicated play space with colorful and fun toys and games, video arcades and evening parties. So popular, in fact, are the children’s programs that CLIA estimates nearly 1 million children cruised in 2002, almost double the number who hit the high seas in 1998. Even moody teens are not forgotten with their own teen-only hangouts - some ships even have teen-only discos and coffee bars - icebreaker socials and adventurous shore excursions. Holland America Line - The new Zuiderdam is a break from tradition for Holland America with its bold color scheme, larger-than-usual Club Hal facility and varied venues for grown-up entertainment. The grandparents can enjoy afternoon tea while the kids hit the arcade and Mom and Dad catch a movie in the Queen’s Lounge. Look for the new Oosterdam to offer similar facilities for family groups. Ø Research & recommend the right ship and destination to meet your families interest, life-style and budget for the time period that you desire. Ø Negotiate best rates and amenities to fit your budget. Ø Provide an experienced coordinator who serves as your day-to-day liaison with the cruise line, ground operators, air suppliers, hotel for early arrivals, etc. Ø Review and recommend how to plan your activities both onboard the ship and at the various ports of call. Ø Anticipate needs, follow up on all details, solve problems, manage database of participants and provide all necessary manifests. Ø Coordinate your meeting needs, port activities and other requirements. Ø Provide Group registration forms, invitations and other communication pieces. Ø Provide additional support you would like including room gifts, signage, name badges, pier decor, gift baskets, logo items, and much, much more!